Carolyn is an Associate in our Residential Conveyancing Team. She deals with all aspects of residential conveyancing. 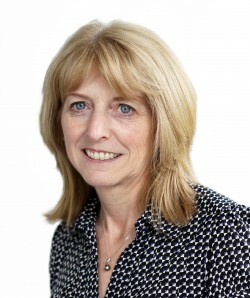 Carolyn gained a law degree from the University of Birmingham in 1984, qualified as a Solicitor in 1987 and joined Cole & Co in 1991 (Leathes Prior acquiring Cole & Co in November 2013). She is Norfolk born and bred and has over 25 years’ conveyancing experience, dealing with both local and national clients. A large amount of her workload comes from clients she has acted for previously and from personal recommendations. Carolyn enjoys travel, music and swimming. It was a pleasure dealing with you. Thank you for your assistance and for acting promptly when we contacted you at various times. You were very clear, professional and thorough. We would certainly recommend you to other people. Thanks once again! Just wanted to thank you for the excellent job you did on our recent house sale and purchase. Out of all the professionals involved in the process you were by far the most helpful, efficient and reliable. Thank you for all you did to ensure we achieved a stress-free and successful completion. Many thanks indeed for all your efforts in our house purchase. We have been so grateful for your diligence and efficiency.